The Mott Metal-Insulator Transition is one of the major issues of solid state physics, and if this transition under the effect of temperature or pressure is fairly well known, the appearance of a metallic phase set under the effect of an electric pulse is a very little studied. The Metal-Insulator transition was first highlighted by transport measurements on single crystals of some transition metal chalcogenides in [Institute of Materials Jean Rouxel observing a change in resistance by orders of magnitude by application of electrical pulses. 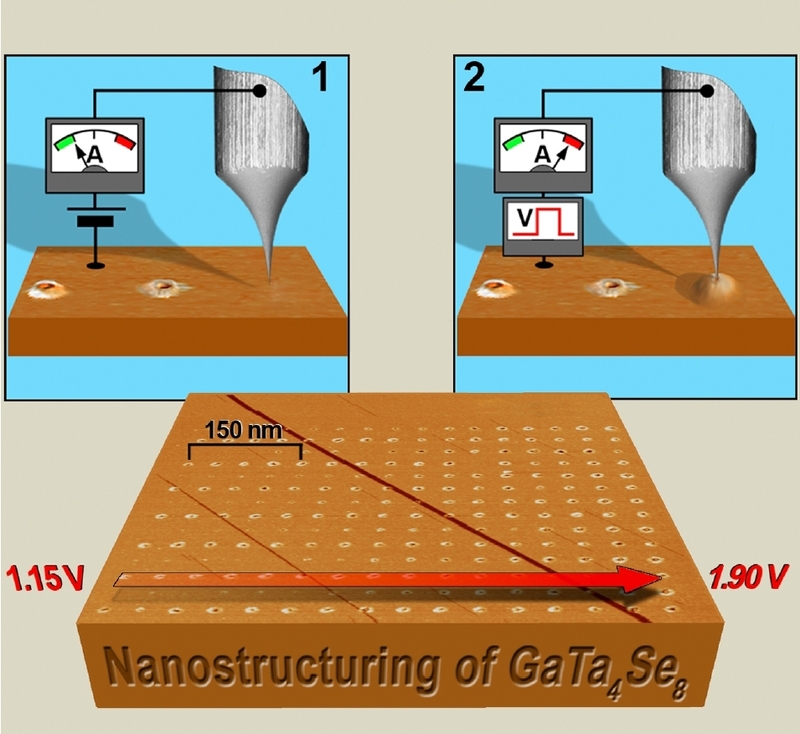 Scanning Tunnelling Microscopy / Spectroscopy experiments on GaTa4Se8 cleaved crystals before and after application of electric pulses showed that the modification of these transport properties was due to a change of the electronic properties of the bulk material with the coexistence of nanoscale metal and insulating regions (Figure 1). This material is also sensitive to the local electric field that exists between the STM tip and the material surface during a experience of scanning tunneling microscopy (STM), which complicates its observation, but also allows the modification of the material at the nanoscale. 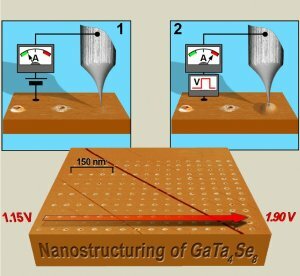 It was thus possible to lithograph GaTa4Se8 surface at room temperature with a resolution of 3 nm (Figure 2). The density of stored information exceeds 1Tbit/cm2. The study of these Mott insulators appears to be particularly exciting, both for understanding the underlying mechanism and for the development of RRAM memory devices. We study the Mott insulator compound GaTa4Se8 in which we previously discovered an electric-field-induced resistive transition. We show that the resistive switching is associated to the appearance of metallic and super-insulating nanodomains by means of scanning tunneling microscopy/spectroscopy (STM/STS). Moreover, we show that local electronic transitions can be controlled at the nanoscale at room temperature using the electric field of the STM tip (Figure 3). 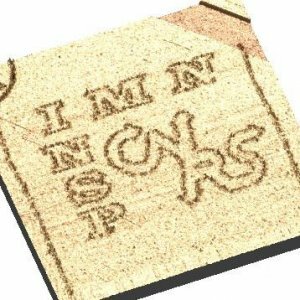 This opens the way for possible applications in resistive random access memories (RRAM) devices. Corraze, B. ; Janod, E. ; Cario, L. ; et al.